The 6-pulse drive, combined with MTE’s Matrix AP Harmonic Filter with its patented adaptive passive technology, provides strong harmonic filtering performance across a wide range of loads with less heat rejection.  The Matrix AP Harmonic Filter, with MTE’s innovative adaptive passive technology, is the most advanced harmonic filter that provides improved power factor and energy efficiency. Using the patent pending adaptive passive technology, the filter adapts to various loads while providing optimized THID performance. It guarantees a THID performance of 8% MAX at 30% load and 5% MAX at full load and helps meet IEEE-519 requirements. The 6-pulse drive with Matrix AP harmonic filter outperformed the AFE drive in the following important areas: Harmonic performance under balanced line conditions: 2-9% better THID performance for loads 25-75% and similar performance (about 4% THID) at 100% load. Harmonic performance under line imbalance conditions: Significantly better performance. For example, under 3% line voltage imbalances performance was 28.8% better (26.3% vs. 44.3% THID) at 25% load, and 6% better (12.3% vs. 18.3% THID) at 50% load. Power Loss: The losses of a low horsepower AFE drive vs. a typical 6-pulse drive equipped with a Matrix AP filter is about 15%. However, the losses for a typical 1000 horsepower AFE vs. a 6-pulse drive with a Matrix AP filter drive are double. A 6-pulse drive with a Matrix AP harmonic filter has a number of additional benefits over the AFE drive: smaller equipment size, lower price, shortened lead time, and increased availability of drives and corresponding replacement parts. 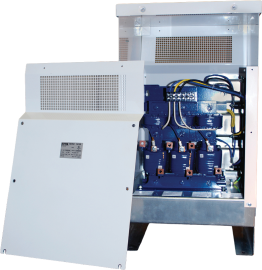 Power Loss Reduction: 40% – 73% depending on the size of the VFD and the component manufacturer. Overall efficiency: 0.5% more efficient (99.0% vs. 98.5%). Harmonic performance under balanced line conditions: 1-2% better THID performance for loads 25-75% and equal performance for loads greater than 75%. Harmonic performance under line imbalance conditions: Significantly better performance. For example under 3% line imbalance, performance was 32.5% better (17.5% vs 50% THID) at 25% load and 13% better (12% vs 25% THID) at 50% load. * The Matrix AP harmonic filter exhibited a reduced leading power factor under light loads. While advantageous in some circumstances, a capacitor contactor option may be used to remove the filter capacitors from the circuit and eliminate this condition. A 6-pulse drive with a Matrix AP harmonic filter has a number of additional benefits over the 18-pulse drive: smaller equipment size and weight, lower price, and shortened lead time/increased availability of drives and corresponding replacement parts.